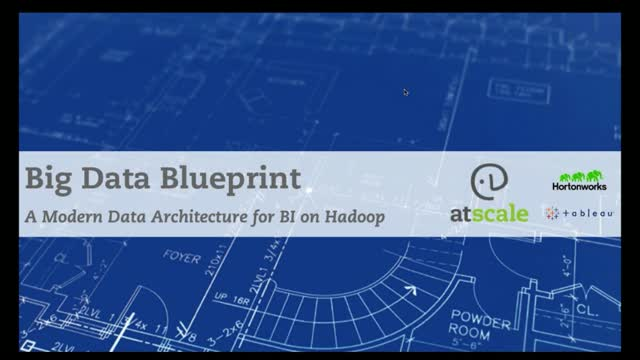 Watch this recording of a live online session, featuring Seetha Chakrapany, Director of Analytic and CRM Systems at Macy's sharing his perspective on modernizing data architecture to enable BI on Hadoop. He's joined by Dan Kogan, Director of Product Marketing for Technology Partners at Tableau, and Eric Thorsen, Vice President, Industry Solutions at Hortonworks. They share trends and insights from the BI and Hadoop sides of the equation. What are the decision triggers for a change to data architecture? How and why do you get started with BI on Hadoop? What questions do you need to ask related to both the business and the technology? Plus, we share best practices to achieve Hadoop nirvana: Manage your big data while giving analysts self-serve access to that data, via existing BI tools.